Google released a new feature for Gmail last week called Gmail Delegation that lets you merge multiple accounts together. While Google's pitch is that it allows busy executives to share their inbox with assistants, it's actually a perfect feature for people with more than one Gmail account. 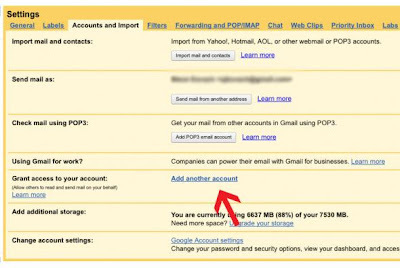 You can link your Gmail accounts to one primary account to avoid the hassle of logging in and out of Gmail every time you want to check a different inbox. 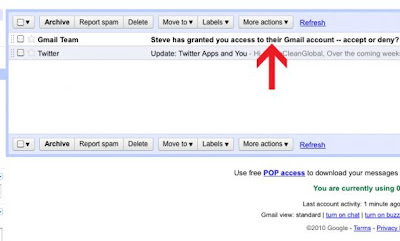 The service gives you full access to the shared Gmail account. You can reply to e-mail, view contacts, and add labels to messages as if it were your own account. We tested Delegation out and it works very well, aside from the fact that you have to wait about 30 minutes for each account to link. But once you're up and running, you'll never want to go back. 1. Log in to the Gmail account you'd like to merge with your primary account. Click settings and choose the "Accounts and Import" tab. Then click "Add another account." 2. 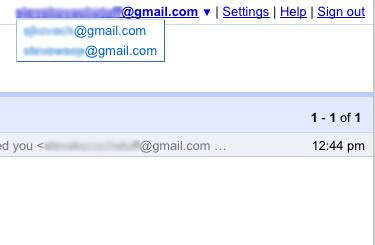 A new window will pop up prompting you to enter the Gmail address you want to merge to. Enter your primary address, then click "Next Step." 3. You'll be taken to this confirmation window. 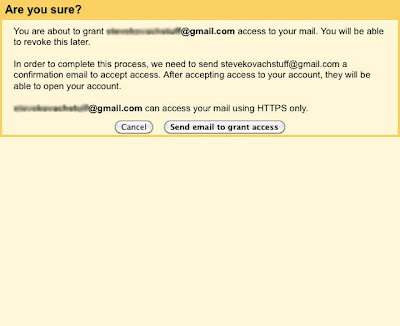 Verify that you entered the correct e-mail address and click "Send email to grant access." 4. 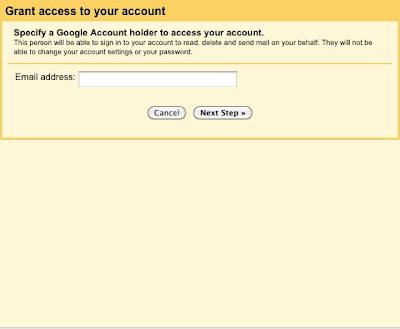 Now log off Gmail and sign in again using your primary account. You'll see this confirmation e-mail in your inbox. Open it. 5. 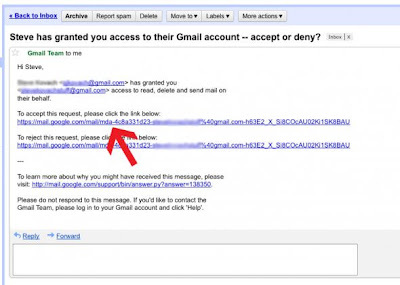 Now click the link to accept access to your other Gmail account. 6. If all went well, you'll be taken to this confirmation screen. Now wait for your accounts to sync. Google says this could take up to 30 minutes. 7. After waiting 30 minutes, sign into your primary Gmail account. You'll see a tiny arrow next to your e-mail address. Click it to reveal your linked accounts. 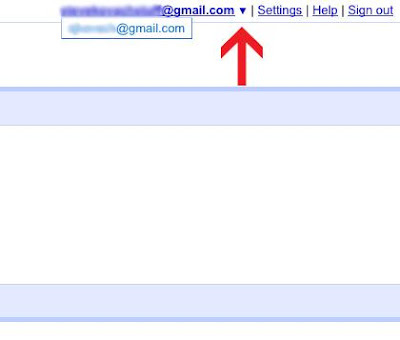 Now click the new Gmail account. 8. 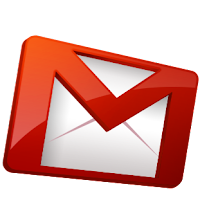 Your other Gmail inbox will launch in a new tab. No need to enter any log in information. From here you can do everything but change settings to your linked account. 9. 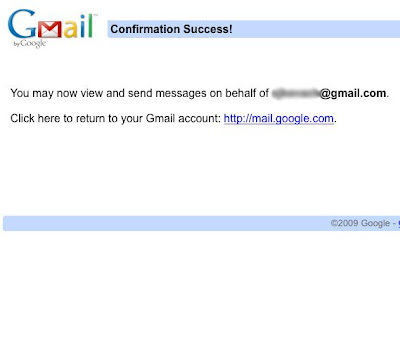 Repeat this process for all your Gmail accounts. Each one will appear in the drop down menu at the top right of your Gmail window.